Every night, Maara Williams sleeps in the living room with her two infant children. There are three bedrooms in the house, but they are too cold to use. Instead the family beds down on a three-person couch, piled high with heavy blankets, and bundled up in woollen sweaters to protect them from the damp and cold. Because with the cold and the damp comes sickness. New Zealand is in the middle of a housing crisis with many sides. There is a crisis in house prices — working families unable to afford a home to live in, and first-home buyers forced out of the market by skyrocketing prices and insatiable demand. We have a crisis of quality — a surfeit of cold, damp houses, homes that are unsuitable and unhealthy for children to be living in. And there is a crisis in social housing availability — families living in cars, and put up in motels due to a shortage of adequate and appropriate social housing. In a survey commissioned by The Sustainability Trust, just four per cent of thouses they inspected would have passed a housing Warrant of Fitness. It found that many homes weren’t heated and insulated properly or had poor ventilation. The same survey found other homes with structural problems, issues with sanitation and injury hazards. But it doesn’t need to be a hard fix. In Maara’s case, the Sustainability Trust easily implemented fixes to make the cold winter more bearable. Simple things like plugging gaps and cracks in window sills, and providing a small, portable heater to heat the bedrooms. The house still has larger structural issues. Many of the floorboards are damaged and the underfloor foil insulation has gaping hoiles. But at least it’s a start. This is just the tip of a huge iceberg. We have children living in cars and motels. Children living in conditions that are making them sick. Children sharing rooms and beds with others due to lack of space. That is not what we want for our children. 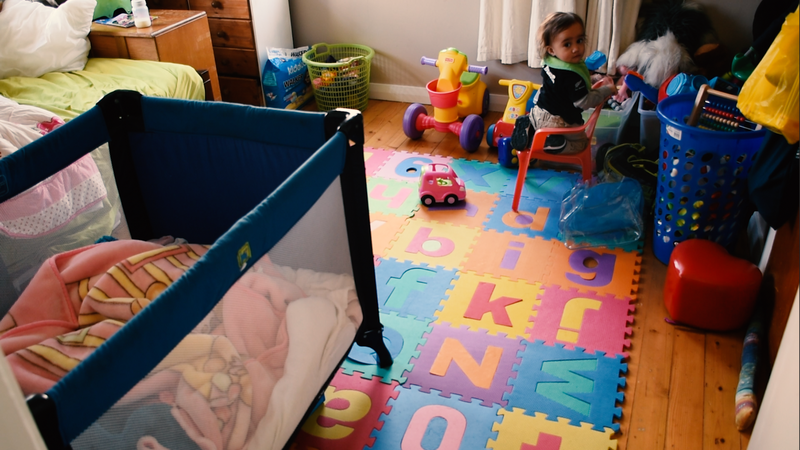 Unicef NZ is calling for an increase in appropriate social housing for those who need it. In 2016 the Ministry of Social Development found that 50 per cent of renters receiving the accommodation supplement spend more than half their income on housing. Around 100,000 children live in households with major dampness and mould problems and around 140,000 children live in households that have problems heating their homes. This simply isn’t good enough. We want to see an increase of affordable housing available to young families and first-time buyers. And Unicef NZ is calling for a comprehensive housing Warrant of Fitness to ensure that all houses are healthy and warm. We think that those things are only fair and reasonable. Maara’s kids have the right to live in a home that won’t make them sick. Every child in New Zealand has that right.